When a cherished animal companion dies, the grieving process is very real and one that may be shared by the owner, veterinarian, family, and friends. 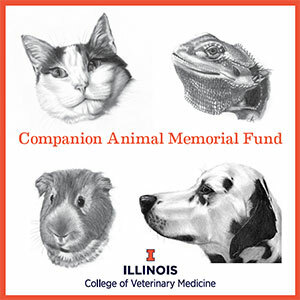 The Companion Animal Memorial Fund at the University of Illinois College of Veterinary Medicine was established in 1984 to help veterinarians take an active role in expressing compassion by memorializing clients’ pets and, at the same time, contributing to research that benefits other companion animals. As animal owners became aware of this program, its use has spread beyond just participating veterinarians. Making a memorial gift to the Companion Animal Memorial Fund in the name of a recently deceased animal can mean so much to a grieving owner. It is a fitting tribute that lets animal owners know someone cares and understands their loss. Gifts made to the Companion Animal Memorial Fund support noninvasive projects and work by clinicians and scientists on conditions that affect companion animals. Projects have included studies of feline congestive heart failure, canine renal disease, recruitment protocols to improve the diagnostic quality of computed tomography (CT) images of the lung in the neonatal foal and the use of dental acrylic to repair canine jaw fractures. The Companion Animal Memorial Fund program has also provided assistance in establishing a veterinary cancer research program, training veterinarians specializing in dentistry, and support for our free, nationwide CARE Pet Loss Helpline. 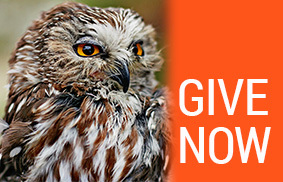 When an animal dies or must be euthanized, you can make a gift online or call our Office of Advancement. 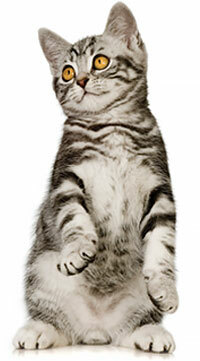 We suggest a minimum donation of $10 per client or pet that you wish to memorialize. We will send a personalized card (pictured at right) informing the owner of the thoughtful gesture made by you in memory of their pet. If you are a veterinarian participating in this program, below you will find the forms for sending information for memorial cards. Please contact our office if you have any questions or would like to participate in this program!